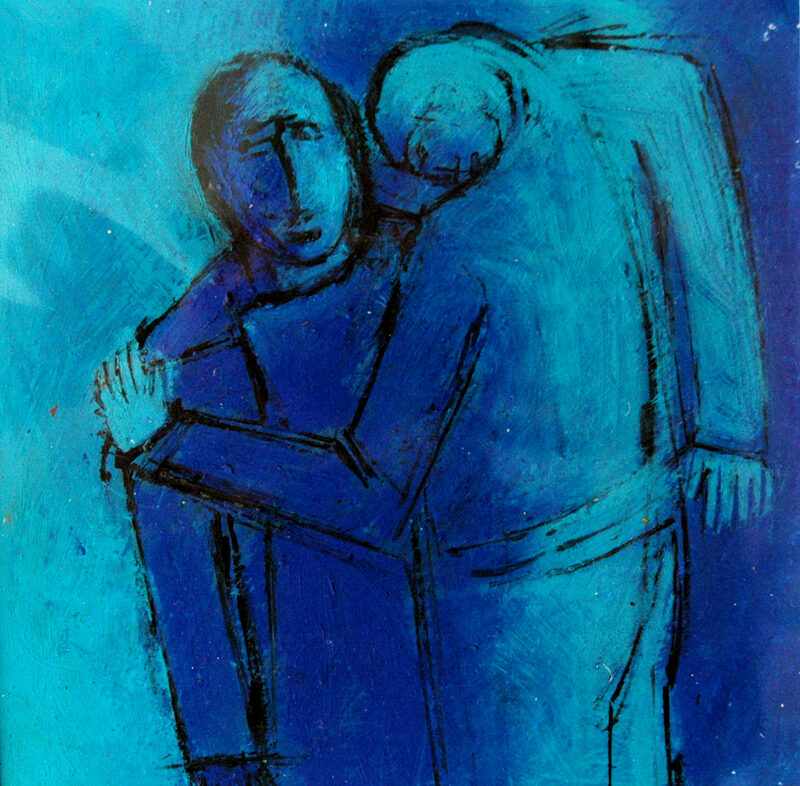 The bonds between human beings can be directly associated with lineage and ancestry or they can be more widely linked to the kinship of shared ideologies. 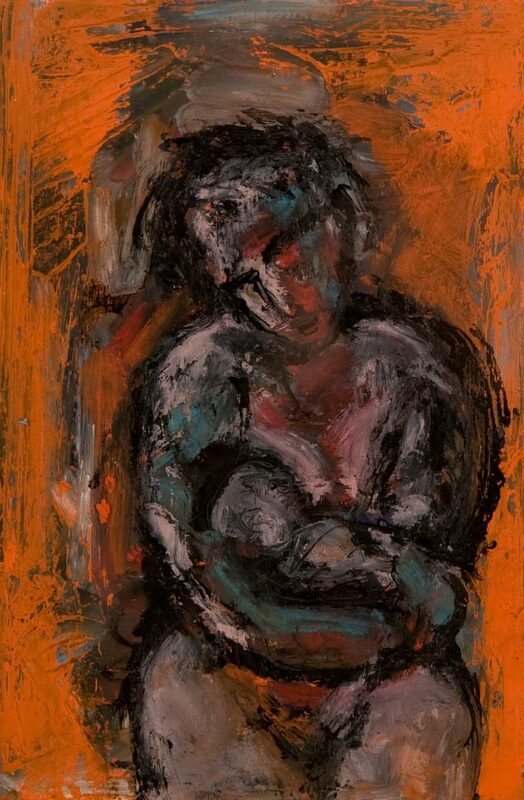 Paternal sensitivities and fraternal loyalties, when deeply felt towards our own children, and to our own siblings, can heighten our awareness of the notion of ‘family’ in a much more global sense. 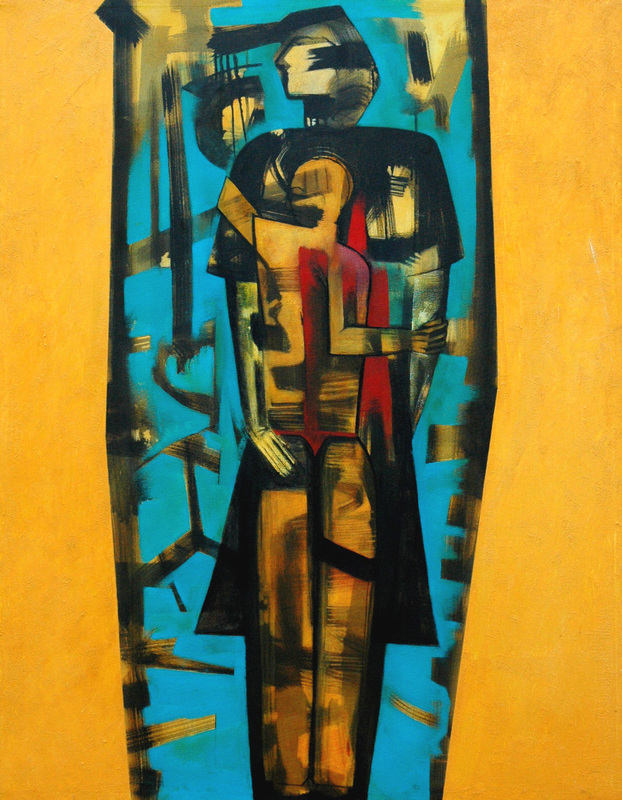 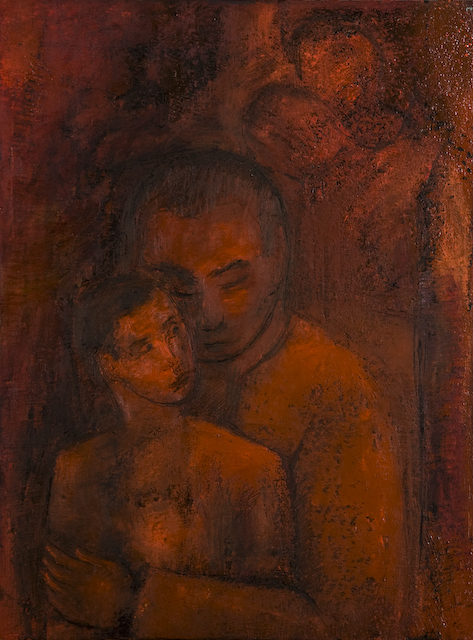 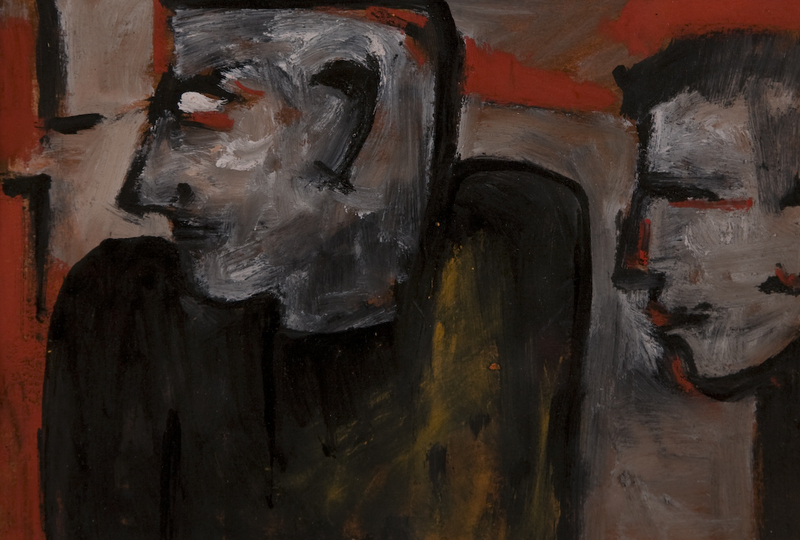 Within painting, a father and child is not used as a symbolic image as often as a mother and child; perhaps it taps too deeply into the issue of male vulnerability. Very often the symbolic images of comradeship and brotherhood also tend to be associated with fighting physical or metaphorical battles, rather than occasionally celebrating it for its own sake. 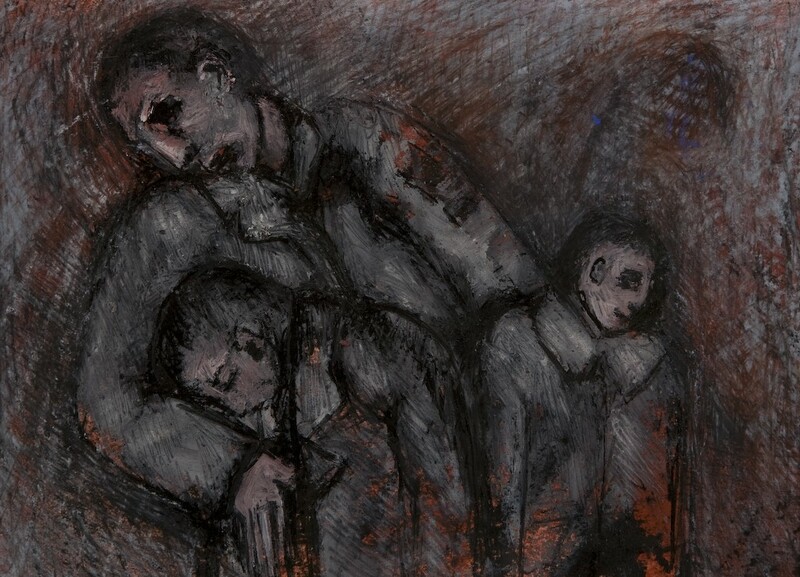 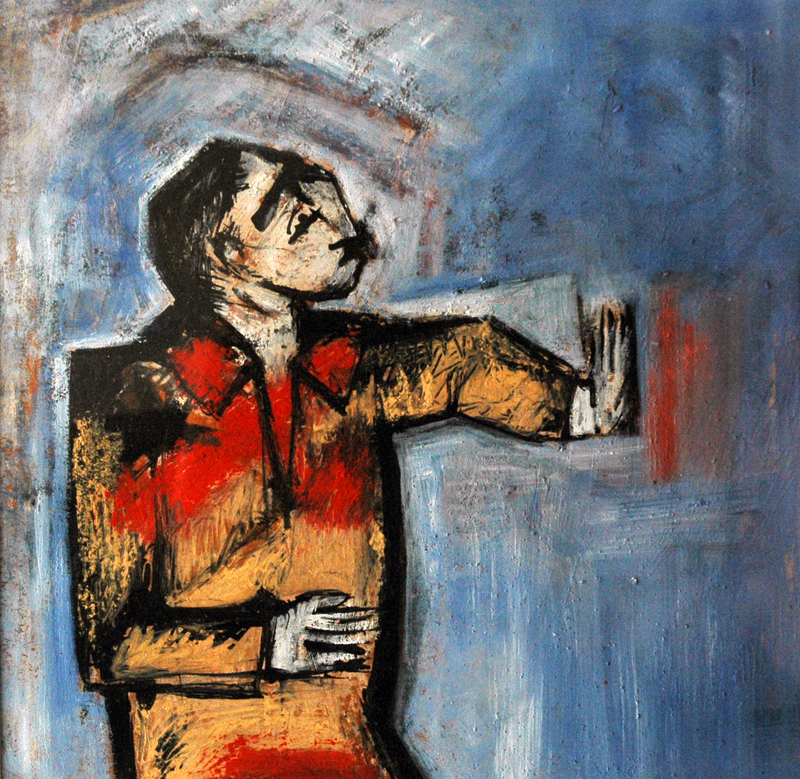 A Lullaby and a Lament, by Ricky Romain (2007, oil and ink on paper, private collection). 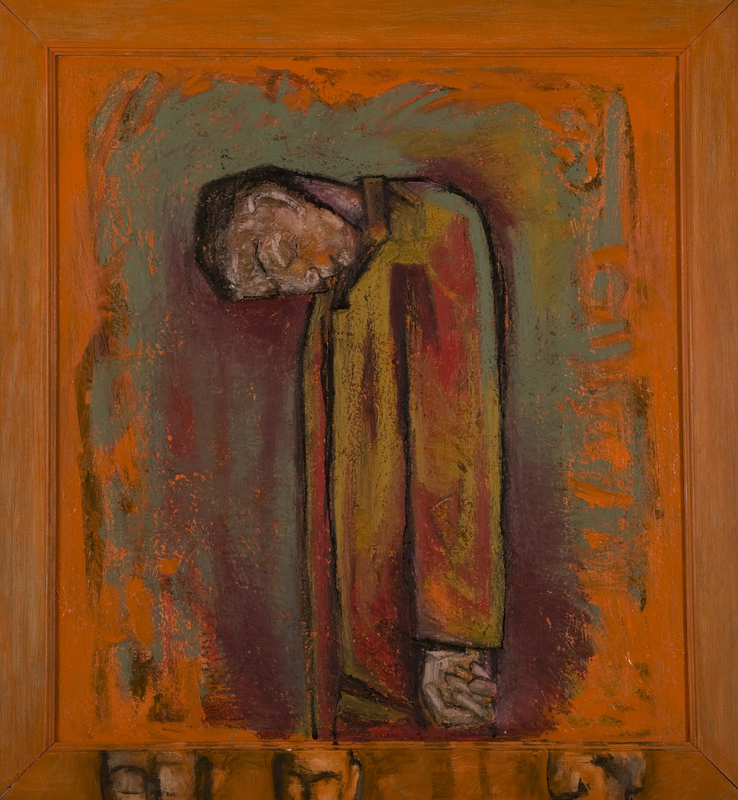 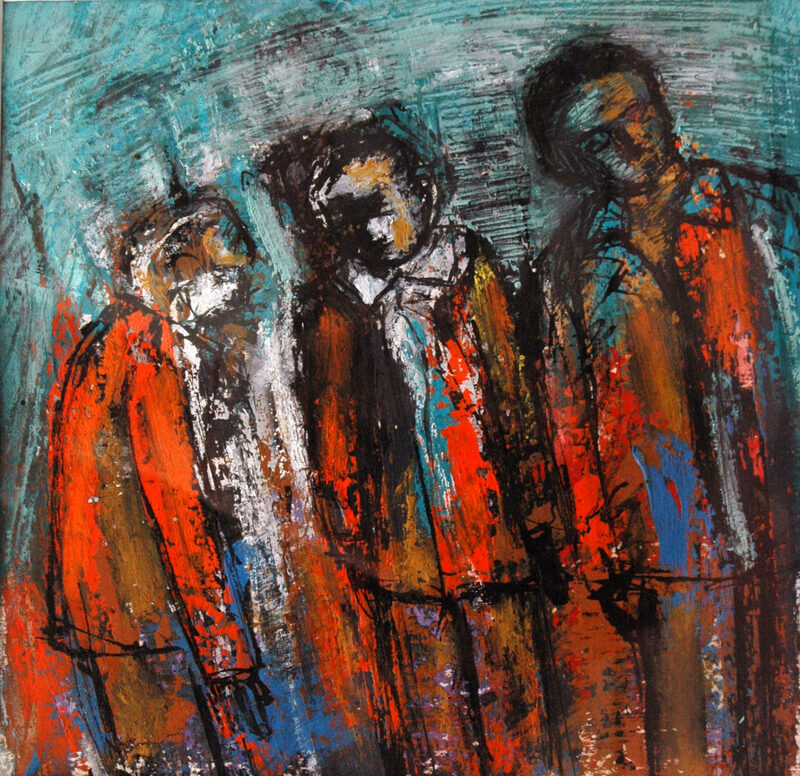 Kaddish, by Ricky Romain (2004/2005, oil on canvas, 157cm x 152cm, not for sale). 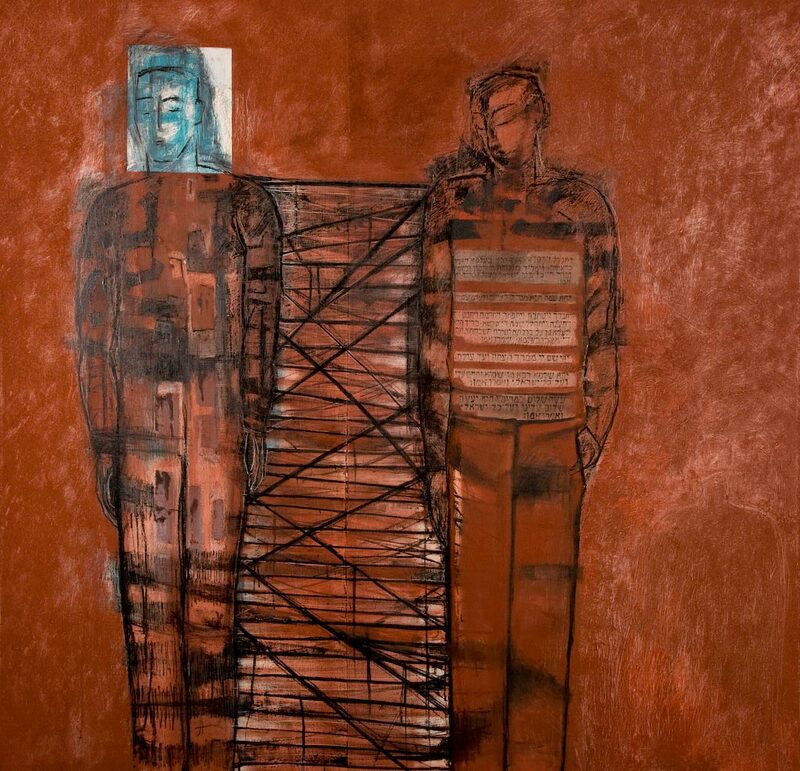 Out of Place, by Ricky Romain (2002/2003, oil on canvas, 177cm x 146cm.). 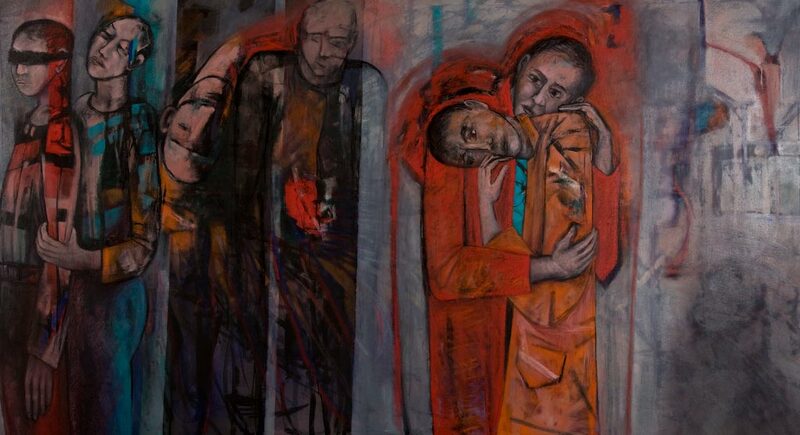 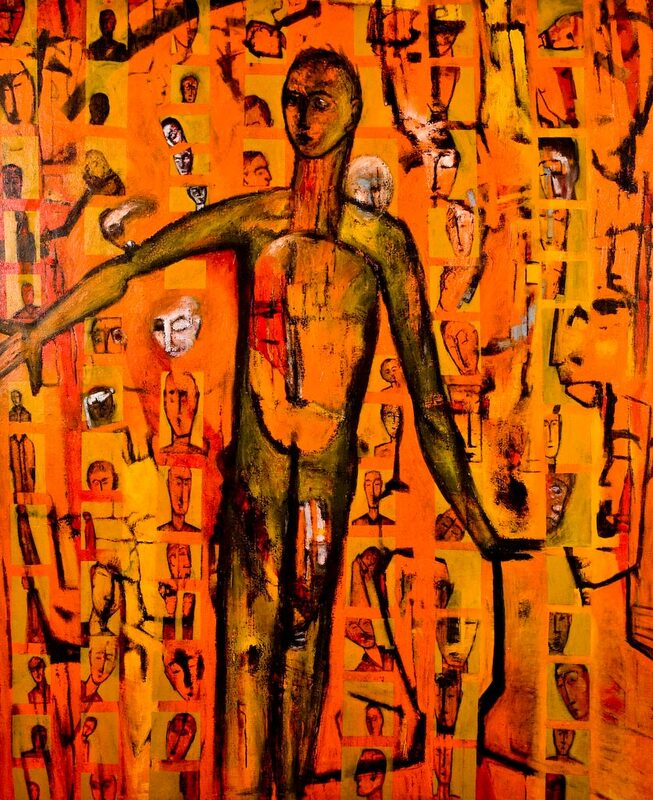 The Conscious and Unconscious Embrace, by Ricky Romain (2006, oil on canvas, 217cm x 117cm,).